The Blog for restaurants that sell online. Ask any questions you have on Twitter ! The Google algorithm takes more than 200 criteria into account before displaying its results. Some are specific to your website, such as its architecture or content. Others are external: links, sites, blogs or social networks that refer to your site. “On-Page SEO” concerns the first category, i.e. criteria specific to your site. Here we look at how to optimize these internal criteria to improve your referencing. A well-designed navigation offers two advantages: it allows visitors to quickly find whatever it is they are looking for, and search engines to efficiently browse the site by following the structure of the links. A restaurant website will usually include generic categories such as the menu or business hours. Rather than trying to be inventive, you should give preference to a classic structure to simplify user browsing and allow search engines to optimally analyse your content. A good rule of thumb: it should be possible to quickly find all the information contained in your website, failing which, visitors are likely to quickly look elsewhere. Here are the best practices to adopt to optimize your navigation. Keep it simple. Visitors want to immediately find what they are looking for. Your domain name should be simple, easy to spell and contain the name of your company. Sometimes, your corporate name alone will not distinguish you from establishments similar to yours (such as “pizzeria”). In this case, use a term relating to your location (such as the town or region), or any other nearby noteworthy geographic point. To help Google effectively index your content, choose a keyword or a string of keywords for each page. Sample string of keywords: “pizza restaurant Manchester”. place the keyword(s) in the page’s URL (this is called “url rewriting”). Using high-traffic keywords that have nothing to do with your target’s expectations (e.g. such as the “Apple” brand). Risk: misleading internet users and seeing your bounce rate (the percentage of visitors to your site who navigate away from it after viewing only one page) go through the roof. Hiding keywords on your pages in white text against a white background, visible only by search engines. Risk: being penalized by Google, now able to detect such devious techniques. 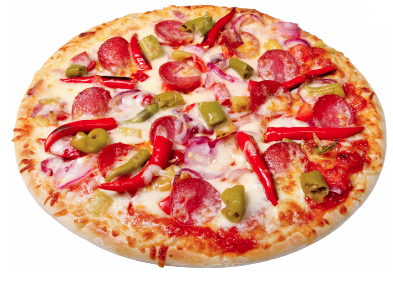 <img src=“photo-pizza.jpg” alt=“Pizza Manchester” / here, “img src=”….”.jpg” designates the photo’s location. The “alt” tag is used to add the photo’s description. The logo is one of the very first elements identified by Web crawlers. Use strategic keywords to name your image. Thus, for example, it is better to use “pizza-delivery-manchester-logo.jpg” than “logo.png”. Add the ALT text to your logo: information concerning your activity, your location, your speciality… In the above example, you could specify “Pizza Delivery Manchester” in the ALT tag. Whether for the titles of your pages or those of your articles, it is important to insert strategic keywords in your titles since these attract the visitor’s attention. The more closely a page’s title matches whatever the visitor is looking for, the more the page is likely to feature among the leading results displayed. Here we talk of a page being “well ranked”. In HTML, you can specify one meta description for each page on your site. This will be displayed in the search results, under the title of your page. Use this meta description to explain – in a few words – your activity or the page’s content. When reading this description, the visitor will decide on the importance of your site. Consequently, you should compose it carefully. The ideal length is 200 characters, including spaces. It should comprise one to two sentences containing a subject, a verb and an object. Insert keywords in this meta description. Each meta description must be unique to avoid any internal duplicate content. Google is capable of going beyond the exact terms of a search to detect the intention of that search. That’s why, when referencing, you can use keywords and synonyms. For example, the following synonyms may be associated with the “restaurant” keyword: canteen, inn, cafeteria, grill, etc. A search on the terms “Spanish cuisine in Leeds” will generate results directly relating to the expression, as well as an interesting result: “La Tasca Spanish Tapas Bar”. Here, the word “tapas” is associated with “Spanish” + “cuisine”. Google has understood our search intention, and is able to consider that these “tapas” correspond to our search. Google detects and penalizes content that is merely copied & pasted. Your content should thus be original and unique. Google takes your bounce rate into consideration. If visitors quit your site without really looking at it, its positioning will be penalized accordingly. One way to reduce the bounce rate is to use images and video. By attracting the visitor’s eye, you will encourage them to continue looking. You will also increase your chances of acquiring a new customer. What is a good bounce rate? That depends on the business sector, the nature of the site (e-commerce site, blog, information site, etc.) and the level of competition for the keywords targeted. A bounce rate below 40% is a good target. To measure and control this rate, you can install Google Analytics on your site. Internal links connect your pages up to one another. A link’s “anchor” is the word or phrase on which a visitor clicks to access that link. 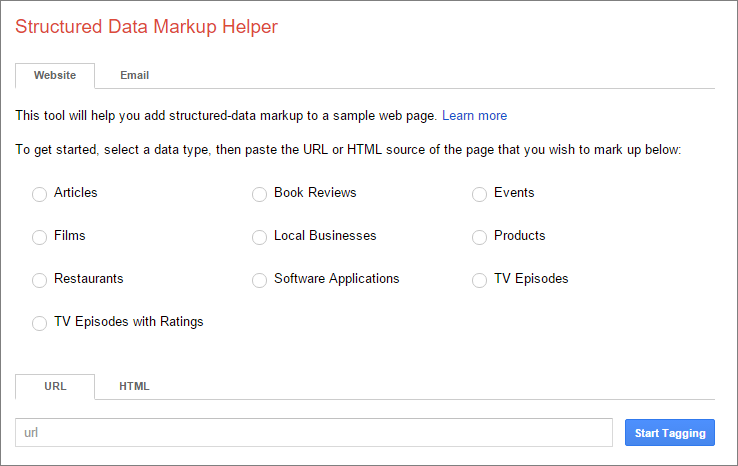 Google takes this link into consideration in its target page referencing. Give preference to descriptive anchors, such as “our business hours”, over generic anchors such as “Find out more”. Make sure to regularly check that your links are working. A “404 Not Found” error (broken link) will no doubt scare away your visitors, to say nothing of search engines. Not so long ago, lots of companies created blogs for the sole purpose of improving their referencing. Crammed full of keywords, these blogs were never promoted since they were not intended for real readers. Those days are over. Today, a blog can represent a veritable communication tool. The restaurant industry lends itself very well to this method of communication. Don’t pass up on this precious tool; not only can it enhance your image, it will also ensure that the search engines find you! an average rating, and so on. Go here to add tags. Fill in all the requested elements by clicking on your pages: name, telephone, address, business hours, etc. Conclusion On-Page SEO is a key step for improving your referencing. 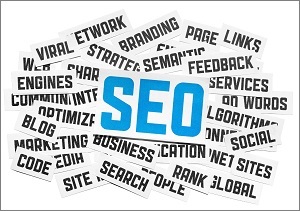 However, Off-Page SEO, which concerns links external to your website, is a complementary device that must also be considered. Once combined, these two methods will give you every chance of improving your referencing. We will discuss Off-page SEO in a future article.